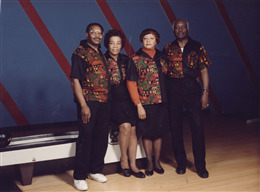 Bowling shirt designed, made and worn by Earlene Fuller of Milwaukee, Wisconsin, c. 1995. The sport of bowling has deep roots in the Midwest and Wisconsin, but it is not usually associated with African Americans. The sport evolved in German-speaking Europe and was transplanted to the United States by German immigrants in the mid-19th century. 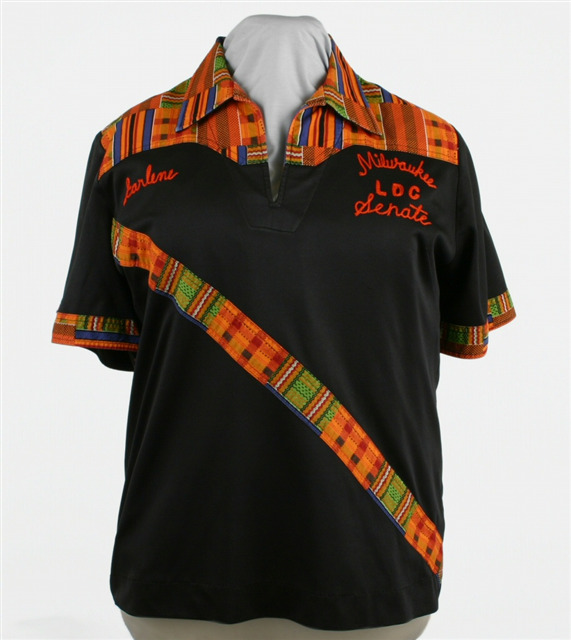 Bowling initially took root in heavily German cities like Milwaukee, but over the years many other ethnic groups, including African Americans, have enthusiastically taken to the fellowship, fun, and challenge of bowling.This shirt, which features an African kente cloth print, was designed, made and worn in the mid-1990s by Milwaukee's Earlene Fuller, an African American bowler and seamstress. This shirt is one of more than 40 matching shirts Fuller made to outfit a ladies doubles league sponsored by the Milwaukee Senate, a regional affiliate of the National Bowling Association. The National Bowling Association was founded in 1939 to promote African American participation in bowling during an era of segregation. Kente cloth, a distinctive textile woven by the Asante and Ewe peoples of Ghana, was originally worn by royalty on ceremonial occasions. In America, kente cloth has become a symbol of Pan-African identity and black pride. Like many other African Americans in the mid-20th century, Fuller left the rural south for opportunities in the industrial north. Born in Jackson, Mississippi in 1931, Fuller moved to Milwaukee at age 17. She found work as a presser for Junior House, a well-known Milwaukee women's apparel manufacturer. Earlene was a quick study and acquired a wide range of textile-working skills, which enabled her to move on to a job sewing upholstery for the American Motors Corporation. Perhaps encouraged by the tenpin-friendly, blue-collar setting of "the Motors," Earlene discovered a life-long love of bowling in 1960. Ten years earlier, Earlene might not have taken up bowling at all. Until 1950, the governing bodies of the sport, the American Bowling Congress (ABC) and its sister organization, the Women's International Bowling Congress (WIBC), barred non-whites from membership. Because the ABC and WIBC sanctioned almost all leagues and tournament, this exclusionary rule effectively barred black Americans from bowling competitively. Only after a concerted nationwide effort, led by labor unions, veterans groups, religious organizations and African American and Asian American bowlers, did the bowling establishment give up Jim Crow. 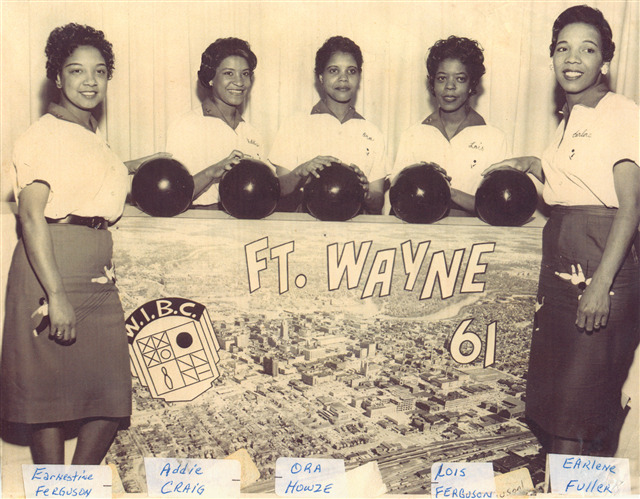 Still, because most bowling was based on neighborhood and occupational relationships, and Milwaukee was (and remains) a racially segregated city, Earlene bowled primarily on all-black teams throughout the 1960s. Earlene left American Motors in the mid 1960s to work in a bridal shop, and designed and custom-tailored clothes on the side. Her first order for bowling shirts came in 1970, when a member of the B and G Golf Supplies team saw a shirt she had made for her son and ordered five similar ones. Then the Maynard Steel team requested the same design in blue. "All of a sudden, it caught on," Fuller recalled in a 1972 article in "The Woman Bowler". "Mark Kuglitsch of Maynard Steel shot a 300 game the first night he wore the shirt. Maybe that's what got it started." Whatever the reason, Fuller's shirts proved so eye-catching on Milwaukee alleys that designing and making bowling outfits soon became her full time occupation. 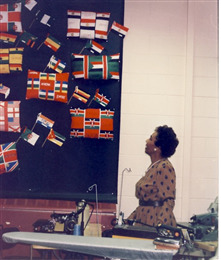 Even as her business prospered, Fuller remained engaged with her community and continued to develop her sewing skills. In the 1970s she acted as a mentor to students in Lincoln High School's on-the-job occupational training program, and she later earned her teaching certification from the Wisconsin Technical College System and taught clothing fabrication at Milwaukee Area Technical College. 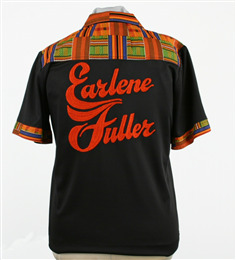 Fuller continued to make bowling shirts throughout the 1970s and 1980s, winning out-of-state orders through her own and her outfitted teams' appearances at national tournaments. She even made uniforms for the Swiss national bowling team in 1973. Perhaps because of the contacts she made through her business, and perhaps because bowling itself was beginning to change, Fuller started to bowl on integrated teams in the mid 1970s. In the 1980s she was one of the few African Americans to participate in Milwaukee's Coors All-Star league. Earlene Fuller never let race interfere with her game. "If you go in thinking, 'I'm black and I gotta do well,' you have a barrier against you right away," she told the "Milwaukee Journal" in the 1980s. "But if you go in thinking 'I'm a bowler and I have to do well,' then it doesn't matter who you're bowling against." Nevertheless, Fuller embraced her ethnic identity. She maintained membership in two African American bowling organizations — the National Bowling Association and the Milwaukee Bowlers Guild, Inc. — and in the 1990s began incorporating kente cloth and other African-inspired fabric patterns into the shirts she made for her own teams. Sadly, Earlene died on January 26, 2008, leaving behind a circle of family and friends who remember her warmly as a cheerful woman who successfully combined the two activities she loved the most: sewing and bowling. In November 2008, Earlene's sister, Pauline McCollum of Milwaukee, generously donated a selection of Earlene's bowling garments, trophies, and memorabilia to the Wisconsin Historical Society – proof indeed that black Wisconsinites have made the sport of American tenpins their own.